Continuation of "price erosion" was the correct qualitative yesterday, and may apply again on Monday. 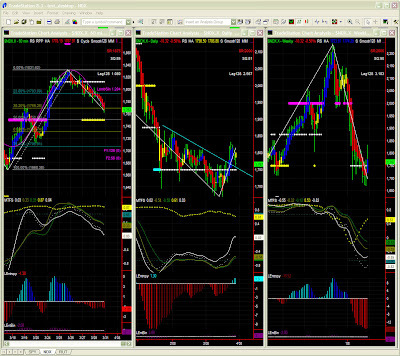 We shall also watch EURUSD for a possible change in dynamics. 60mins: price erosion, looking for support. After the recent Fed measures, markets have been lifted, and should stay above 1750 in the foreseeable future. If we look at possible support levels, 1750 is indeed a strong MMM and moderate Fib support levels. Should there be a volatility spike, NDX could even test Fib PR2 (61.8%). MTFS and Entropy indeed show a steady decline, so we'll keep an eye on those levels, as well as on same levels for our other symbols. On last NDX post, I said that "NDX will probably have to consolidate a stronger base to go higher later on". MTFS indeed gave us the right clue with the classic "failed recovery" pattern. Entropy has now turned positive without being really convincing, so NDX will most likely try and find a firmer support level and in the meantime will remain in the same trading range. Swing should stay UP. The well anticipated bounce was way too fast to justify Swing turning UP, but we may finally see the MTFS pattern slowly completing over the next few weeks. We will therefore watch for the next support level, probably 1750 again, and be patient until Swing turns UP. 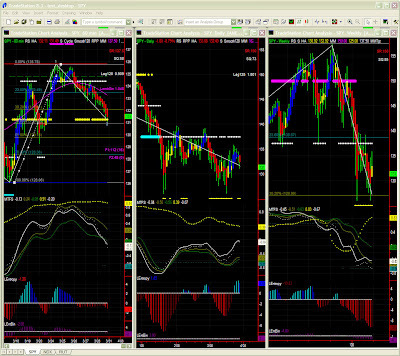 Patterns will be clearer on shorter time frames in the meantime. 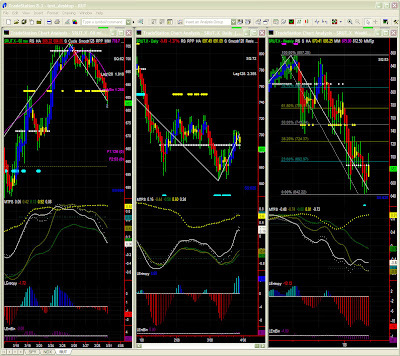 We will however remain cautious: we are looking for a likely support, and until then we remain bearish overall. For options traders, April puts placed below this year's lows (1625) will hold, so conservative April condors should still do OK in this market.